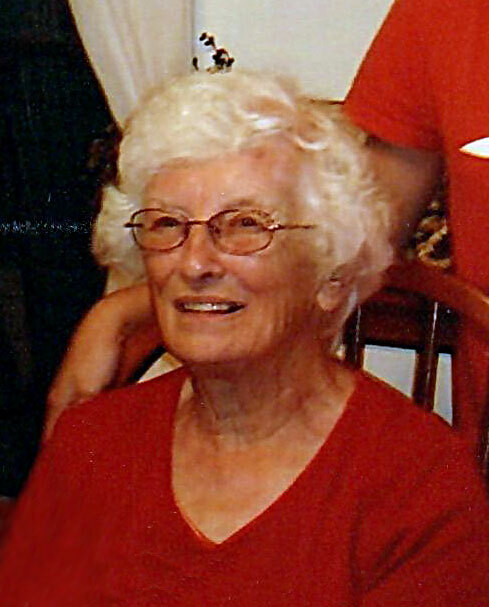 Virginia J. Davis 86, of Richwood, died peacefully Saturday morning January 19, 2019 at the Memorial Gables in Marysville. Virginia was a 1950 graduate of the Byhalia High School. She was a long- time member of the Claibourne United Methodist Church, where she had taught Sunday School for many years. She was a person who never sat still, always on the go, she enjoyed working in her garden and canning. She was also known for her wonderful pie baking; her apple pies were many people’s favorites. When she was not on the go, she was an avid crossword puzzle enthusiast. Virginia was a true “Farm Wife” in every sense of the word, from bookkeeper/ accountant, to helping Lowell with whatever needed done, she was there. She was the chief food preparer and deliverer to all the guys working on the farm for many years. Virginia also had worked as a bookkeeper for various businesses in the area during her career, including Landmark, Marblecast and a doctors office in Marion. Funeral services will be held Saturday January 26, 2019 at 11:00 am at the Stofcheck-Ballinger Funeral Home in Richwood, Dr. Wayne Evans will officiate, burial will follow in the Claibourne Cemetery, friends may call Friday from 4-7 pm at the funeral home in Richwood. Memorial gifts may be made to the Loving Care Hospice at PO Box 613 Marysville, Ohio 43040 and or the Claibourne United Methodist Church, C/O Linda Carrel 15957 Harmon Patrick Rd. Richwood, Ohio 43344. So sorry for your family's loss...Virginia was so kind and always had a smile! God be with you for healing! Marci & Family: I’m sorry for the loss of your mom. May God and your memories comfort you during this difficult time. We will keep you and your family in our prayers. Roy and I are so sorry for your loss. We'll keep you in our prayers. So sorry to hear of your Mothers passing. I only met her once but I remember her so well because of her wonderful pies that were shared that day. My thoughts will be with you on Saturday. I'm so sorry for your loss. Keeping the whole family in my thoughts and prayers. Your family is our thoughts and prayers. I am so sorry for your loss. Your mom sounded like a great lady. We're so very sorry for your loss. Our condolences go out to the whole family. Our loss is Heaven's gain! What a friend Ginny has been over the years! There will be a great void in all our lives without her. We pray for God's grace and blessings to be your's during these difficult days. I am praying for your family as you walk this path of sorrow. I pray that the Lord will give you comfort, peace, and hope for the new day. His Love is trustworthy for each of you. So sorry to hear of your loss. She was a wonderful farm wife and mother. So sorry for your loss as always enjoyed her and her love of the farm. You are all in our thoughts and prayers and may God comfort you all during your time of sorrow. Dave and I wish to extend our prayers to you and yours. I'm sure your Mom will be missed not only by family but also by those she was close to. My memories of working with her at Marblecast are good ones. She really was a worker, never still, and liked to laugh even if at herself. So sorry for your loss - I'm sure she will be missed. I am so very sorry for your loss. I know what a special lady she was to all of you. Keep the memories of the past alive in your hearts. I was sorry to read of the loss you are coping with. As I learned more about Virginia I was struck by her goodness, her vitality and her creative spirit. All those qualities are reflected in her children and their families. My life has been a little richer for having known them. Dear Mike, I am soo sorry for the loss of your mom. Our thoughts and prayers are with you and your family . Love, Gina and the Carey family .